Many of us have blood in our hardware. From MP3 players to laptops and smartphones, lots of devices include 'conflict minerals'. You've probably heard of blood diamonds, gems mined by warlords to finance bloodshed. When gold, tin, tantalum and tungsten are produced in similar circumstances, they're conflict minerals. The minerals play an essential role in many products. Tantalum is used in capacitors and in tooling, tin in solder, gold in circuit boards and tungsten in mobile phones. One of the most important sources of those minerals is the war-torn Democratic Republic of the Congo (DRC), where more than 5 million people have been killed in the last decade by armed groups. Many of those groups are funded by the profits from mineral extraction. Many tech firms are trying to change that, and Intel is at the forefront. In January, Intel CEO Brian Krzanich introduced a sombre video about conflict minerals at CES, and promised that the firm's future processors would be conflict-free. In February, Apple published its latest supplier responsibility report and noted that for the very first time, it could verify that none of the tantalum used in its products came from mines in conflict regions. Cleaning up technology isn't as simple as firms changing suppliers. Organisations such as the Electronic Industry Citizenship Coalition (EICC) believe that electronics firms' money can help the Congo move towards peace. The trick, they believe, is for firms to continue doing business with the DRC without financing the warlords. The problem is that minerals' origins can be exceptionally hard to trace, as there are multiple links in the supply chain between the mines and the technology firms that use the minerals. However, that doesn't mean the problem can't be addressed. As Apple VP of operations Jeff Williams told the Financial Times "the smelters are a choke point all this flows through". If you can identify and audit conflict-free smelters, you can reasonably claim that your products are conflict-free. Bandi Mbubi, director of Congo Calling, campaigns for conflict-free technology. "Intel and Apple lead the way for consumer electronics in the ethical sourcing of materials from conflict-affected countries like the Democratic Republic of the Congo," he told us. He has particular praise for Intel, which is "the only technology company to date to claim to be completely conflict-free." 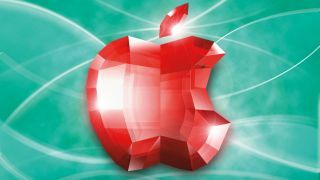 Apple has some catching up to do, as "it can only account for its tantalum as completely conflict-free," Mbubi explains. "Its tungsten, tin and gold are still in part being sourced from non-compliant smelters."